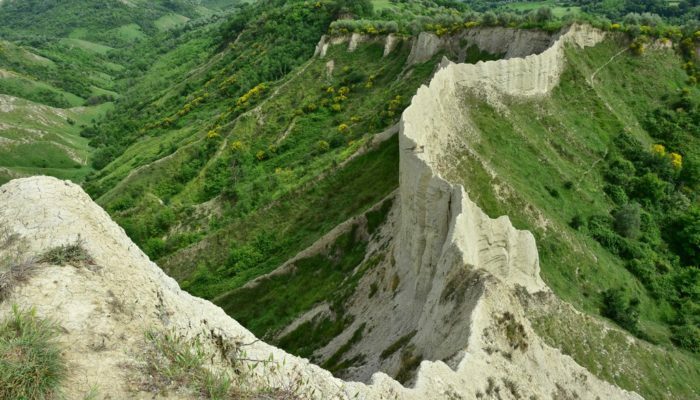 The badlands valley of Civita di Bagnoregio is a hidden natural gem in the province of Viterbo, Italy, just 100 kilometres from Rome. Pictured here is the ‘wall,’ one of the valley’s most peculiar features, where you can even find the wooden structural remains of a trail used for agricultural purposes in the 19th and 20th centuries. Badlands are a typical geological formation, where grains of sand, silt and clay are clumped together with sedimentary rock to form layers, which are then weathered down by wind and water. The terrain is characterised by erosive valleys with steep slopes, without vegetation, separated by thin ridges. Due to the slope’s steep angle and the clay’s low permeability, little water is able enter the soil. Instead water quickly flows across the surface, removing surface clay and carving into the slopes as it does so. 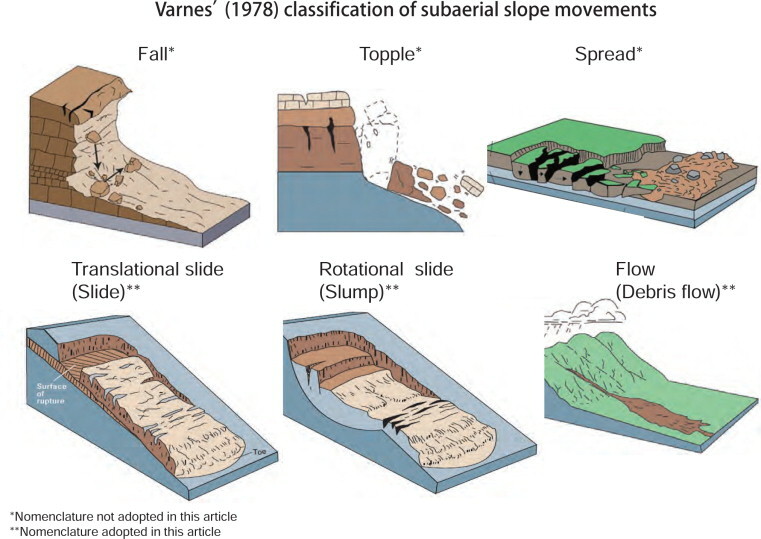 The morphological evolution of the clay slopes can be very rapid (for example, rock falls can occur quite suddenly after heavy rainfall) and occurs as a result of several physical mechanisms, such as mud flows, solifluction (slow movement of wet soil towards the bottom of the valley) and sliding. During the evolution of the badlands, peripheral portions of the terrain made up of volcanic deposits (tuff cliffs) rose up from the landscape, bordered by nearly vertical slopes (called scarps). Many towns have been built on these erected hilltops, such as Civita di Bagnoregio.